PlanetRomeo Foundation supported Neema MCC’s Undugu project. Udungu, meaning brotherhood, is an LGBTI empowerment project aimed at building self-esteem and creating social networks within the local LGBTI community. Part of the project was a seminar dealing with issues around faith and homophobia. Bishop Julius Kalu, who once stated that homosexuals were a greater threat than terrorists, was present. After meeting LGBT people at the seminar he concluded LGBT people were “dignified people like any other in the world … homosexuality is not a choice, homophobia is.”. Rev. Michael Nzuki Kimindu is founder of the Neema Metropolitan Community Church. Neema MCC’s mission is to fight homophobia that has its roots in religion. In 2007, the first meetings of the church took place in his living room, now they meet at the GALCK (Gay and Lesbian Coalition of Kenya) center in Nairobi. Rev. 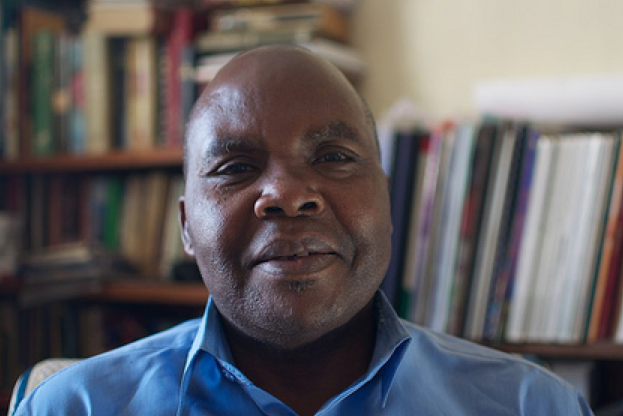 Kimindu became a target after a local newspaper named him the “gay priest” after he preached a message of acceptance on the International Day Against Homophobia. “The archbishop believed if you are a sympathizer with homosexuals, you must be one of them. I also received text messages with death threats aimed at me and my family. They accused me of recruiting their children for homosexuality. I’ve become very lonely as others don’t want to be associated with me.” Despite this, the reverend, who is not gay himself, continues his work.